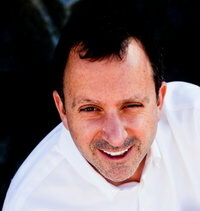 Howard Lindzon is CEO and Co-founder of StockTwits (www.stocktwits.com), the financial micro-messaging service. He was also the founder of Wallstrip, which he sold to CBS back in 2007, is an investor in a significant number of web and social media companies. Through Howard’s investment in betaworks, he also owns early shares in Twitter. Howard is based in San Diego, and spoke to us about StockTwits. First of all, what's the idea behind StockTwits, for people who haven't used the service? Howard Lindzon: StockTwits is a verticalized community for people to share stock ideas and market ideas, 24/7. What's the whole story behind StockTwits and how it came about? Howard Lindzon: In 2007, Fred Wilson had offered me some share in Twitter, when they were putting together their first round of venture capital investments. I remember saying that I just don't get it, even though they had a great story. I thought, however, that people would really love to share stock ideas on this, in a one-to-many relationship, basically a bunch of Jim Cramers sharing and talking about stocks in 140 characters. I ended up passing on the Twitter investment, but I put out a blog post at the time--I was working for CBS--asking if someone would want to build it, and a kid named Soren MacBeth emailed me back saying he'd build it, which started the idea of StockTwits. It was built originally on the Twitter platform to talk about stocks, and all users had to do was add a dollar sign to ticker symbols to give it context. For example, you can add $AAPL to separate the post from regular posts, which we pulled into our own search around that ticker. Early on, we realized that because Twitter was having issues keeping the site live and up, we needed to solve that for our users in order to build our business. So, we built our own, new and improved version of a microblogging platform. What's unique about what we've built is you can post commens on Twitter or StockTwits, though most people post on StockTwits and send that to Twitter. We also added a few more features which were very stock friendly. It seems like you learned your lessons early on relying too much on Twitter? Howard Lindzon: Twitter is a great lead generation engine. Luck has it, I'm also a small investor though an investment in BetaWorks. BetaWorks was an angel investor in Summize, which was purchased by Twitter for its search engine. Because of that, I indirectly ended up with a good amount of shares in Twitter. I don't know if it's because of luck or independence, or just the vertical we were in or the combination of all three, we realized early on that Wall Street's definition of real time was different from Twitter's definition. Twitter is pretty unstoppable as it related to news and global reach, but StockTwits is that extra layer that deciphers the news for people who love stocks. An example is after the earthquake in Japan, you could see what people who follow the Japanese market were saying in real time, what are people trading those stocks saying right now. We've just added a layer on top of all the social networks particular to finance. I've always felt that financial vertical is the one vertical--with Yahoo Finance, Bloomberg, Reuters, and First Data--where Twitter should be involved in. It's interesting to see that, despite selling Wallstrip to CBS, that content isn't the goal here? Howard Lindzon: Making content is just a dumb business. It's fun, I guess. StockTwits is hard work, but Wallstrip was harder, because every day it was a blank piece of paper. You'd have to come up with an idea, gather the truth, write it, produce it, shoot it, edit it, and when you had the product, you had to figure out how to distribute it. Only a dummy would do it again. With StockTwits, I went to CBS when I was working there and told them people wanted to talk about stocks. But, that wasn't why CBS bought WallStrip. They didn't buy it because of the financial content, they did it for the web video expertise. So, they let me start StockTwits. You're quite an active investor, as well - are you still making investments? Howard Lindzon: 99 percent of my time is on StockTwits. All the rest is on my investments. Generally, I make those when I sleep. It's something in my blood, something I do in my spare time, which is very full time. I'm in a position where I see a lot of interest deals, meet great entrepreneurs, and I'm kind of addicted to making investments in the web space. It's something I've done since 2000, and not something I've given up. I also have a hedge fund and am a partner in fund called Social Leverage making early stage investments. What's the big goal with StockTwits now? Howard Lindzon: I think StockTwits is a most sustainable business. Wallstrip was a fun idea, and it was interesting to be at the cutting edge of web video, but StockTwits is more of an aggregation and curation play. If we continue to do our job, it's a very sustainable business. We're hoping that Twitter, Wordpress, Tumblr, and all the blogging platforms show the way on unique monetization models, and it's exciting to be at the forefront of figuring out how to monetize things yet keep the experience great. I think the financial vertical offers lots of native ideas, that aren't just display advertised based, because of all of our information and data. StockTwits is in a unique are around that vertical, so we're going to do something different that Twitter, Wordpress, and Tumblr to monetize that content. Our goal is to build a sustainable business. We've got 24 people now, and we have a model that will take us to profitability around corporate and enterprise products. Advertising is one of our revenue streams right now, but not our core focus.